On the right: large-scale display panels created for Novartis Pharma AG. 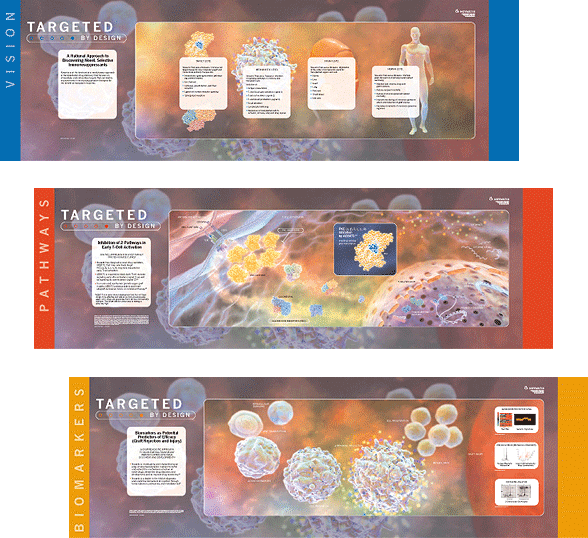 The panels were developed for the July 2006 World Transplant Congress, an event attended by 1,300 transplant physicians from around the world. The panel artwork accompanied the client’s symposium and was an integral part of the educational experience. Below: photos of the actual installation (for a better sense of the real-world scale involved with this job).